In a recent article in the Washington Post, Deborah Ancona, a professor of management at MIT’s Sloan School of Management, wrote about a concept called “distributed leadership”. Distributed leadership is basically just what it sounds like – pushing leadership, or in most cases, the freedom to act, to others. Think of it as the opposite of “command and control”. Based on a quick Google search, the term shows up most in the academic environment. However, Deborah does a nice job advocating the concept with historical and current examples that can readily apply to the corporate environment. She cites John Buford, a Union cavalry officer during the American Civil War, and a local leader in Haiti who took matters into their own hands rather then waiting for orders from above. Distributed leadership sounds to me a lot like empowerment, one of the leading corporate buzzwords of the 90s, as well as delegation, a term that dates back to the 1600s. The desire for autonomy, freedom, and responsibility is not something that generation X or Y has brought to the workforce – it’s a basic human desire that leaders need to leverage. Unfortunately, just like we all have a basic need for recognition and belonging, managers and organizations will often take a deceptively easy concept and still somehow manage to screw it up. Managers have to be willing to let go of what may have gotten them promoted in the first place – being the expert, solving problems, and making decisions. Some managers learn the importance of letting go the hard way – though overwork, burn-out, under-performing and dissatisfied teams, and failed relationships. Others – those with strong leadership potential – are more naturally inclined to manage that way. It’s the hard-core, autocratic micro-managers that will struggle with it the most and most likely either resist letting go or do it in a way that could make things even worse. In order to establish a culture of distributed leadership, you’ll need to either hire leaders with a track record of being willing and able to let go effectively, or teach managers that are wiling to but don’t know how. To quote Spider-Man's Uncle Ben, “With great power comes great responsibility”. Not everybody is ready to assume great responsibility. There are some that would prefer to be told what to do. Then again, laying a responsibility on an employee that isn’t ready is another recipe for disaster. Again, it goes back to hiring profiles, assessment, and development. Look for employees that have a track record of seeking our new and bigger responsibilities, that can handle ambiguity, and with strong problem solving and decision making skills. In order to get someone ready to take on really big decisions, a leader has to start grooming them by giving them little decisions that gradually get bigger. Using Situational Leadership can help you determine when it’s time to provide a heavy dose of direction and when it’s time to let go. 3. The right organizational structure and systems. A relatively flat, decentralized organizational structure, where there are fewer management layers and managers have broad spans of control promote distributed leadership. Increasing a manager’s number of direct reports makes it harder to micromanage them. Organizations that practice distributed leadership build processes that embed leadership into the system – rather than allowing only a few at the top to lead. 4. Clear direction and values. Without a rock-solid vision, mission, goals, and values, distributed leadership can turn into distributed anarchy and chaos. Managers at companies like Johnson & Johnson, Google, Southwest Airlines, and Wal-Mart have lots of local autonomy but make decisions within a very clear set of boundaries. While the term “distributed leadership” may be relatively new addition to the corporate buzz-word dictionary, it seems that there may be valuable lessons from what we’ve already learned how to do: good old-fashioned empowerment and delegation. Regardless of the term that is applied it is up to senior managers to recognize that part of our job is to empower our followers, not only to help them learn how to become leaders themselves, but also to help us get our job done to higher standards. We may have been promoted originally, because we demonstrated superior knowledge and skills, but if we don't share those with others, or worse, recognize that others' knowledge and skills may be superior to our own, we are doing them and our company a disservice. The 4 contributing factors you listed are hugely helpful to this process, but in my opinion, #1 is the most critical and with strong motivation can over come 2-4. How much is distributed leadership just a variation of transformational or servant leadership. Bravo! What I like most about this post is point #3: You have to deal with the system. In Point #1, you state what is a large problem: That people are promoted to manager not because of their latent leadership ability, but because of their expertise. Expertise is no predictor of the qualities necessary for leadership. If you embed leadership, and the development of those attributes into your systems, you will generate a cadre of people who will be the sort of leaders you are looking for in your senior ranks. It's not a matter of encouraging managers to be better leaders, it's a matter of developing leaders at the outset who can be promoted into your management ranks. I'll admit I'm not a student of either, but there may be elements of both. re:point #1 the main fundamental i try to share (and this comes from my orchestral playing background) is that all too often we focus on our own output, and we see the efforts of others as competition. the best managers i worked with all had the ability, not so much to do, as to perceive potential in others (even when others couldn't see it themselves). it's a big internal paradigm shift for a new manager, but easy to sell once people see how mutually empowering that approach can be. Great insight and advice. Thanks. Great post, Dan, and in my experience the need for an organization to understand and progress towards distributed leadership is most pressing in family-run and entrepreneurial companies where the original leadership has been charismatic and personality-based. 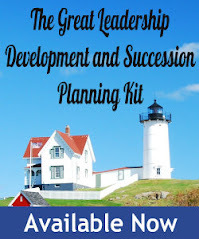 In order for an organization to live beyond the lifetime of its founders, it has to be set up with everything you've described - "ready now" leadership at the next level, people willing to accept responsibility rather than being simply followers, the structure and systems to ensure processes and accountability mechanisms are in place, and a vision that lives beyond one leader. Nicely done, and thank you - I will use and refer to your thoughts in my work with these types of organizations. Thanks for the new insight. Glad you can use it in your work. Right on Dan. I, along with Jeff Gunther believe that Management/Leadership is "about creating conditions for people to do their best work" (Jeff Gunther, CEO, Meddius. To do this means that we have to let folks have freedom to add value, make decisions and be innovative. That means all parts of the operation are up for critique, change and experimentation. I also agree with Karen that the challenge for smaller relationship based businesses seems to be great. The organization has usually taken on the personality/values of the founder and may not be one that easily allows contribution of others who are good leaders and could be great leaders. Thanks for your adds, very well said.